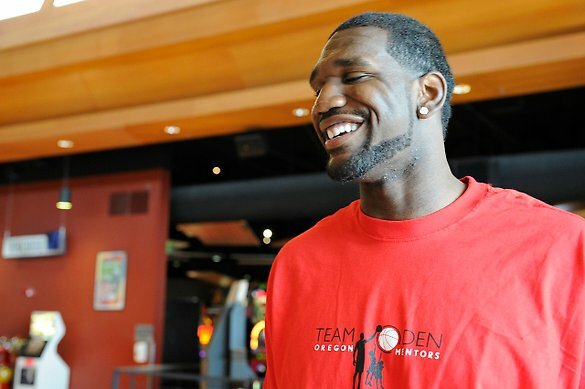 Greg Oden has not seen action on the court since 2009, but that did not deter Pat Riley from giving him a shot in Miami. Friday, the seven-foot center decided to join the Miami Heat, the defending NBA champions, in a quest to continue a career that barely got started after he was drafted as the first pick overall (Portland Trailblazers) of the 2007 draft. There are two things that stand to derail Oden’s attempt — himself and a pair of surgically repaired knees. Perhaps time, rehabilitation and a desire to finish what he started will be enough to give basketball fans that which they longed for when Oden was coming out of Ohio State University. If that is not enough, the care, camaraderie and support he will receive from the Heat organization and its players could be the extra push he needs to get him over this hurdle. Oden said it was a “big deciding factor” that Heat officials made it clear to him that he “wouldn’t be needed as much early in the season” as he works his way back from more than three years out of the NBA. “When I had a conversation with Coach [Erik] Spoelstra and hearing how much he knew about the training stuff that I was already doing, it kind of made me feel like they know what’s best for me,” Oden said. I can’t imagine that anyone will be rooting against Oden. Despite the snide remarks about his mature looks (he appears to be older than his 25 years) or his “bad” knees, it seems the general consensus is one of best wishes for a healthy, successful return. Oden’s two-year deal will reportedly pay him about $1M per year.